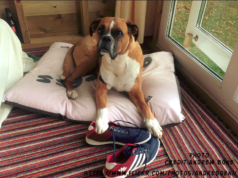 Home Basic need of boxer dog How much Exercise do Boxers need? How much Exercise do Boxers need? One of the many reasons for the Boxer breed to be one of the popular breeds around the globe is its happy and hyper nature that makes it loveable. With its boundless energy anyone around feels happy. 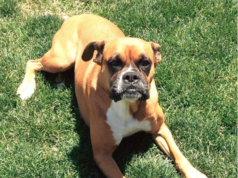 A boxer dog requires the right balance of food intake, exercise and play time. So it’s important to consider a boxer exercise needs for a good life. Gradually build up an exercise routine for boxer dog either inside the home, in your back yard or out for a walk followed by slow exercise patterns. Set up a responsible routine depending on the weather. 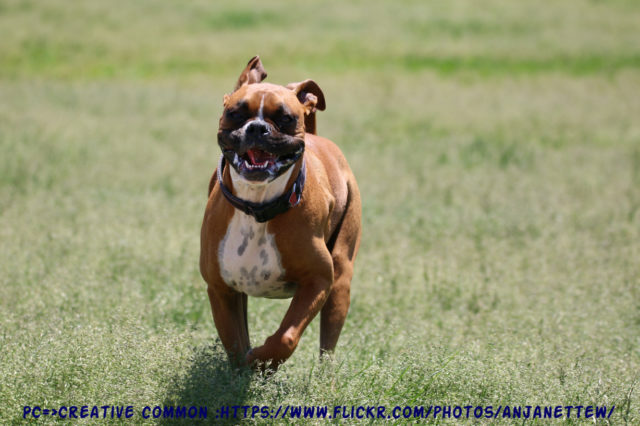 Boxer dogs cannot run and do strenuous exercise in extreme weather conditions so kept the boxer exercise needs in mind. Mid day heat or extreme cold is not suitable for your little short haired boxer. Start with slow walks an hour after the breakfast meal. This will help in digestion and will increase the boxer dog’s metabolic rate. How much exercise a boxer dog needs depends on its age, health and the weather conditions it’s living in. This time shall assure a good time to bond with your boxer dog. Strenuous exercise or playful activities should not be done right before or after the eating time, as boxers easily get bloated and might lead to health issues. The best exercise for a boxer dogs is walking. 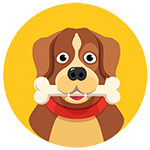 This can easily be started and will allow your dog to get used to easily. You being the leader need to train them into a fixed routine. Boxers enjoy catch and run, Frisbee, water sports, and hide and seek. How much exercise should a boxer dog get also depends on it’s age. There is a difference between the exercising requirements of an adult boxer and a boxer puppy. Adult boxers are muscular, huge, and strong. Therefore, this requires an exercise routine for Boxer dogs . They have vigorous exercising requirements. However, when we talk about boxer puppies, we need to understand that puppies are fragile and are in the process of developing. Therefore, if you take them out for excessive exercise, they will be unable to grow their body’s structure properly. Set up a boxer Puppy exercise schedule. Boxer dog daily exercise can give perfect results when the weather is perfect for the physical strenuous routine. Taking your boxer outdoors for exercise is extremely important. However, a great factor to keep in mind is the weather conditions. Boxer dogs belong to Mastiff breed, which means that they have shorter, flatter faces, and a compressed skull. Therefore, harsh exercise during extreme weather can make it hard for them to breathe. Moreover, boxers have shorter hair on their body, which is another reason for their sensitivity to sun, rain, and cold. Therefore, before taking your boxer outdoors, make sure you have prepared to protect it from heat or cold. Walking is the best exercise routine for boxer dog. An adult boxer requires 30 – 45 minutes of walk every day; whereas, a boxer puppy needs only 20 minutes of walk each day. However, walks during the winter season should be shorter to avoid making your dog sick. Walks during the summer days should be scheduled in early morning to avoid taking the dog out in extreme heat or sunny conditions. 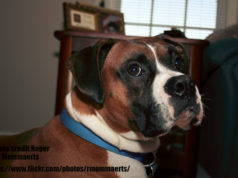 Previous articleWhy Boxer Dogs are Aggressive towards Other Dogs or Cats?